Doctors, faced with an outbreak of disease, isolate the patients, seek out the best possible way of dealing with the problem and then base their strategy on early and accurate diagnosis. But bovine TB has been hanging around for years because politicians have regularly interfered, changed the rules, varied the finance, and consistently used the issues as a political game of chess, BUT whenever they go public you can be sure that they never reveal the whole story. The deficiencies in the TB test have been much talked about in the debate about the badger cull. The statistics are now well known: the SICCT or ‘skin’ test can be expected to miss about 5 to 25 in every 100 infected cattle on a single round of testing. Across the herd the test has an estimated mean herd-level sensitivity of 49% (95% credible interval 27-74%). What this means is that a significant proportion of herds may be hiding at least one animal that has TB, even though the herd tests negative. The precise proportion is difficult to estimate, but modeling studies show that up to 21% of herds may still harbour an infectious animal after having been cleared from movement restrictions. This lack of sensitivity of the SICCT test can result in hidden TB infection persisting in so-called ‘closed herds, because of a negatively testing cow that harbours TB. 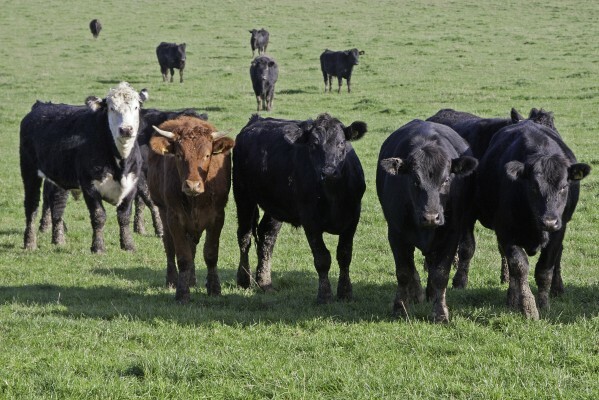 It can also result in the spread of the disease, as negatively testing cattle can be sold and moved around the country. However, while we may understand the implications of these statistics intellectually, when farmers are given a test result, it is understandable that they expect the result to be reliable and accurate. They are clearly being let down by the SICCT test. What follows is a personal story that I believe demonstrates the human costs of the poor performance of TB testing methods. It also shows why the current pilot badger culls are a disastrous distraction from the real problem, and how the situation has been cynically misused by the government to justify their policy on TB. 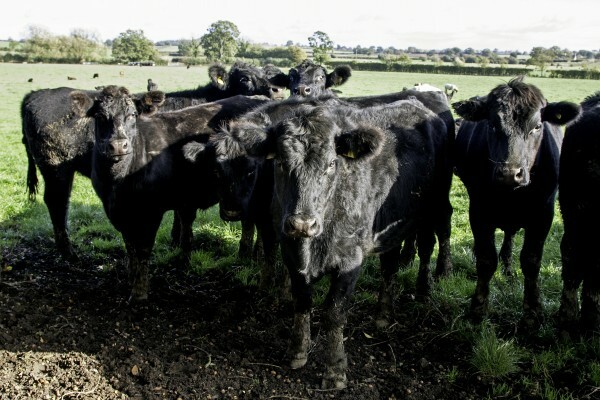 There’s been a beef herd on a farm near Bishops Castle in South Shropshire for many years. About 20 years ago I met the owner, I’ll call him Martin, when we tried to develop dialogue between the Shropshire Badger Group (SBG) and the Shropshire branch of the NFU. At that time he was the County Chairman and while we personally got on well, the discussions unfortunately stalled. Then three years ago the SBG was asked to carry out a survey at the farm as a prelude to a badger vaccination program being undertaken by Badger Trust and the NFU, and we renewed our acquaintance. This information came at about the same time as a similar situation became public at a farm stated to be attached to an Agricultural College in South Wales. Then in August, just before the badger cull was due to start, we were suddenly treated to Owen Paterson on the Regional TV News Channels and in an article in the county paper, the Shropshire Star, appearing with Martin at the farm and delivering a worrying message of ‘a poor farmer being forced into retirement because of the loss of 133 cattle to bTB, and clearly the problem was badgers’, but there was no mention of a vaccination program or of the current bTB clear status at the farm. Naturally, I was concerned, so I rang Martin primarily to ask him if he’d had a change of mind and was ending the vaccination program, the answer to which was definitely not. I went on to mention that I was sorry to hear of his retirement and asked him when it was to take place. The answer was in about seven years time. He was planning to run his operation down by doing no more breeding with his heifers, and finishing when he reached 75 years of age. 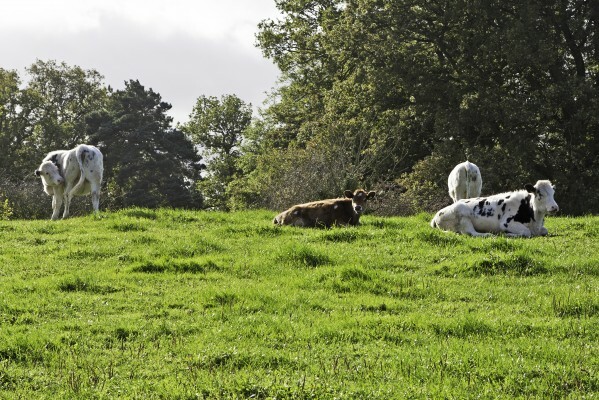 He confirmed that the herd was still TB free and, although it had been a difficult time, he had no ongoing TB problem and his so-called ‘forced’ retirement, had in fact been a carefully planned reduction of his farming operation. This first hand account from Martin indicated that his story had been manipulated for political ends, presumably to engender support for the badger cull. Martin told me that the condemned cow had been born on the farm about 10 years ago. In her early years she had tested ‘inconclusive’ on three occasions, but had then tested ‘clear’, so had remained within the herd. She had only been sent for slaughter because she had ‘gone barren’ and even at that stage, he said she remained a good looking animal, fit and apparently in full health. He was very surprised to discover that she was so badly infected with bovine TB. Martin’s TB restriction roughly coincided with the time that this animal was born. After the cow was slaughtered there were two further skin tests which resulted in 6 and then 7 reactors, but after that the herd went clear and is still clear after a further test, and, obviously, we hope it remains that way. Martin now knows, from hard experience and great personal cost, that it’s pretty much impossible to diagnose TB infection by simply looking at cattle, that the SICCT is unreliable, and that the source of his problem was most likely this single animal, which would have been producing calves, possibly already infected, providing infected milk to others and having aerosol contact with the rest of the herd. Since coming across this situation, I’ve become aware of two other similar cases of cattle, which although asymptomatic and testing negatively through the SICCT test, were infested with TB. I have also read a number of articles, which show that the discovery of infected cattle at slaughter is not an infrequent occurrence. In fact a quarter of all new confirmed breakdowns are not discovered during testing, but at slaughter. Martin’s case illustrates how a single animal can be the source of persistent infection in apparently ‘closed herds’ over years, and could be a key reservoir of infection within the cattle industry. Such animals might also be moved around quite legitimately thus spreading the infection further. Indeed, according to evidence presented during the EFRA Select Committee inquiry on vaccination against bovine TB earlier this year, Britain has much more movement of cattle both within and between farms than anywhere else in Europe. The current SICCT test is antiquated and hopelessly inaccurate and if farmers really want an early solution to this very difficult problem, they would do well to lobby both politicians and Defra to replace it with the already available Gamma Interferon test and the newly developed DIVA test, which looks especially promising and is also essential if cattle vaccination against TB is to be introduced. Vaccination has proved an effective means of controlling many diseases and even eradicating some, such as smallpox in humans and rinderpest in cattle. Field trials of TB vaccination of cattle in Ethiopia and badgers in the UK have shown the benefits of vaccination in both species. Vaccination against TB is a key part of the long-term solution. In the short-term, cattle movement controls and more accurate TB tests are vital. Other ways of managing disease, perhaps employing a completely different approach, also need to be explored by utilising the infection management expertise within the medical profession. The simple fact is that the infection levels in the national herd are what they are and no amount of badger culling will change that. In the meantime I would strongly urge the farming community not to take out their understandable frustration on badgers because it really won’t help and could even make things much worse – in more ways than one. 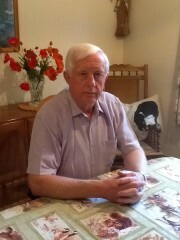 Jim Ashley is a founder/member and Chairman of the Shropshire Badger Group, formed in 1987 as a response to the regular incidents of badger digging in the county by men from Merseyside and Lancashire. He became Chairman soon after the Group was formed and has always been practically involved in all aspects of badger conservation from hosting badger watching evenings, through sett protection and restriction, to acceptance as an expert witness in both Magistrates and Crown Court. He was born into the farming community as the son of a farm worker, worked on a number of farms as a teenager and young man and currently has family members who are herd managers of large dairy units. He counts a number of farmers as close personal friends. His present focus regarding bovine TB is to explore and examine new technologies and research, which might be modified and eventually used to provide an earlier resolution of the problem. Please read Shropshire Badger Group’s open letter to all Shropshire farmers. You can also follow them on Facebook and Twitter @shropsbadgers. The presentations and talks from the October 2013 ZSL Seminar on Vaccination in the Control of Bovine TB are now available online. Well worth browsing through if you weren’t able to attend. See in particular the talks and power points by Martin Vordermeier, Cath Rees and Mark Chambers.